FITBOMB: History of the CrossFit Games - The Infographic! 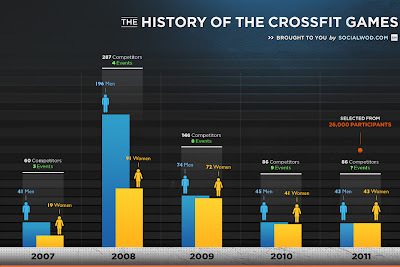 History of the CrossFit Games - The Infographic! If, like me, you're an infographic nerd and a CrossFit junkie, you'll appreciate this summary of the CrossFit Games by SocialWOD.